To understand Alabama's butterflies, it is important to understand their relationship to Alabama's plants. Each butterfly species depends on particular plants called host plants to feed and nourish its caterpillars. Female butterlfies seek out these plants for egg-laying. Plants contain a variety of noxious chemicals that protect them from herbivores--different plants have different chemicals. Butterflies have adapted to some of these chemicals and are able to detoxify them. The ability to detoxify is limited, so Monarchs, whose caterpillars eat plants from the Milkweed family, cannot eat parsley, a member of the Carrot family. Some butterfly species are host plant generalists and are able to utilize plants from a wide variety of families for their larval food. Others are strictly specialists--so highly adapted to one plant species that they can eat it and no other. Knowledge of host plant choice is important in determining where to find particular butterfly species, and it is crucial to understanding how to conserve and protect them. The plants included in this list have all been documented as host plants in Alabama. Use the live link to the Alabama Plant Atlas to access specific information about each plant. Many more observations are needed to fully document the host plants within our state. Send your host plant observations to: albutterflyatlas@gmail.com. If you are not certain of the plant identification, be sure to send photos of as many parts of the plant as possible. 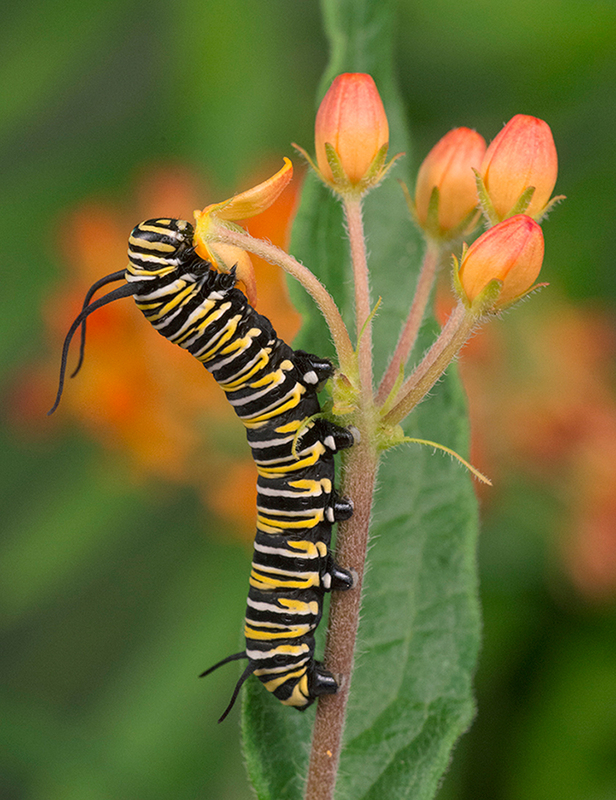 Each butterfly species depends on particular plants called host plants to feed and nourish its caterpillars. 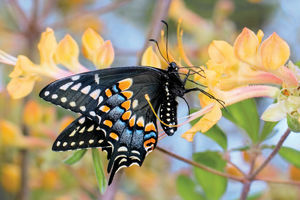 Only butterflies with documented host plants in Alabama are shown in this list. Most adult butterflies feed on nectar from flowers. When seeking food, butterflies evaluate shape, color, fragrance, and taste. Their choices are often determined by proboscis (feeding tube) length: butterflies with long proboscises can access nectar from deep throated flowers; those with shorter ones must feed from shorter tubed plants. The nectar plants included in this list are native/naturalized Alabama plants that are used by butterflies in Alabama as nectar sources. Most appeal to many butterflies. Some are associated with a particular species and are cited within that species account on this website. Use the live link to the Alabama Plant Atlas to access specific information about each plant.